At the southern most tip of Western Europe on the Iberian peninsula lies the enchanting land of Portugal blessed with everything for a perfect charter destination: luxurious sparkling waters of the Atlantic Ocean, plush sandy beaches, dramatic mountain ranges, verdant flora, olive groves, excellent wine, fresh seafood and a number of historic and cultural monuments around every corner. Portugal is lucky to be one of the warmest countries on the Old Continent and is drenched in sunlight all year round making this destination extremely appealing to both summer and winter charterers alike. This land is an exciting slice of paradise where each guest will find something unique to discover during their luxury charter. Northern Portugal is believed to the birthplace of the nation and it is home not only to the nation’s second largest city, Porto, but also breathtaking valleys and many natural parks lined with flora endemic to the Mediterranean climate as well as a variety of seafood inhabiting the coast. Porto is a city easily accessible through the Sá Carneiro Airport operating flights from bustling international airports. Conveniently constructed on the hill surmounting the Duoro river estuary, Porto’s historic city center is a UNESCO World Heritage Site dating back as far as the 4th Century. Boasting monumental granite buildings, Porto is a genuine maze of colorful edifices lining a waterfront promenade and winding narrow passages, each one having witnessed historic changes in the city. With quaint restaurants, cafes, museums and boutiques in the city center, Porto offers a day of sightseeing, an unparalleled experience saturated with breathtaking vistas, cultural events and magnificent local cuisine based on fresh products. If you have some spare time, visit the Mercado do Bolhao, a traditional market where you and your Chef will find the freshest fruits, vegetables, meat and fish for your lunch or dinner onboard. The waterfront promenade is lined with great places to have an afternoon chilled glass of wine or a snack. Once you have enough energy for more visiting, the city is carpeted with lush parks to spend an enjoyable afternoon. And for all the festive souls, the city boasts a number of bustling nightclubs, bars and pubs. 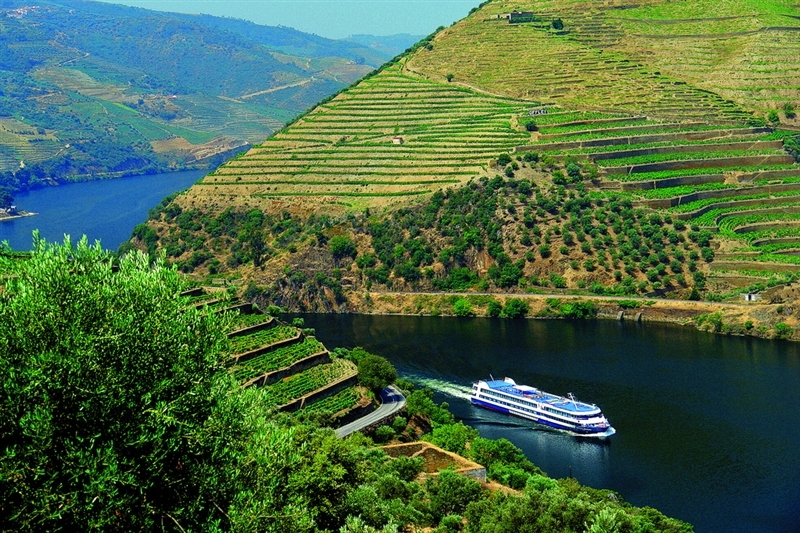 In the country’s northwestern part lies an enchanting land of stretching vineyards and beautiful vistas of the majestic Douro River flowing between imposing sun-kissed verdant bluffs where lazily ripening grapes are used to produce one of the best wines in the world, Port wine. 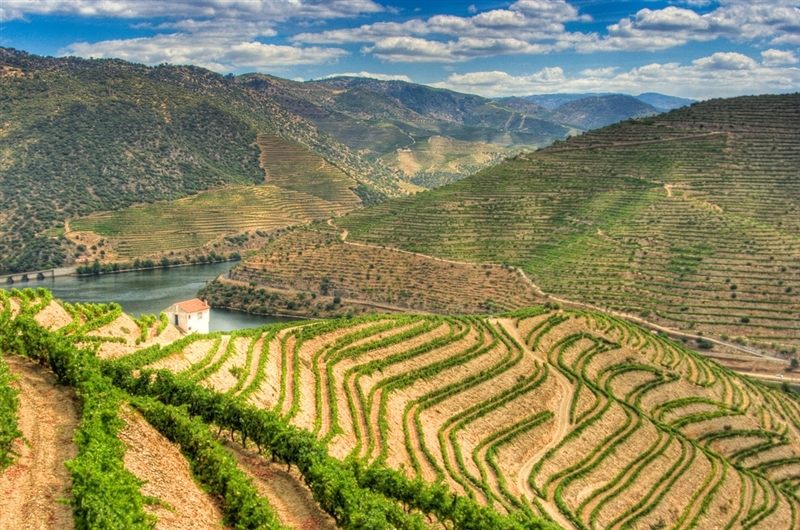 The valley is lined with winding mountainous roads and thanks to splendid views opening up from the hilltops, the Douro Valley is classified a World Heritage Site and rightfully so. The S. Leonardo da Galafura viewpoint is only one of the few in the region seducing visitors again and again with warmth and smoothness of the river. The beauty of layered granite terraces coupled with the fragrance of sweet almond trees is a seducing combination stimulating the five senses. Portugal’s central region is its core beating with vibes of the country’s millennium worth of history. These tranquil boroughs are irreproachable for a day trip inland. In ancient times, the villages sitting atop imposing hills were crucial in protecting the surrounding lands. Because of their strategic location, it was mostly impossible for potential invaders to attack them thus leaving their inhabitants at peace. Different offenders tried to attack these settlements throughout the ages including Moors, Christians, Portuguese and Spaniards. Due to these dramatic fates, each village has its own legend to tell. Magnificent landscapes, formidable fortresses and friendly locals are what make this region of Portugal a sweet retreat from the hustle and bustle of lively coastal cities. One of the twelve villages under the Historic Villages Program founded over twenty years ago, Piódão is a village quaintly terraced at the foot of a steep bluff. It is a delightful small settlement of schist houses lining narrow passages with bold deep blue windows and doors. The choice of color was not coincidental, it is believed that the village’s one shop was only supplied with blue paint and due to Piódão’s remoteness, it was rather difficult to travel elsewhere. 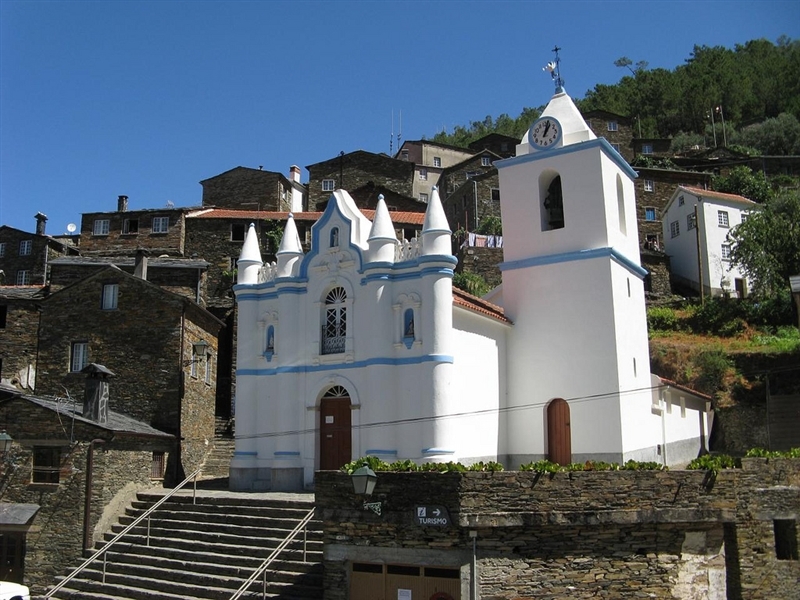 With this isolation, the village was able to preserve its ancient architecture with the whitewashed church dating back to the 19th Century distinguished among the houses. Inaccessible, Piódão also used to be a haven for fugitives escaping from harsh punishments. 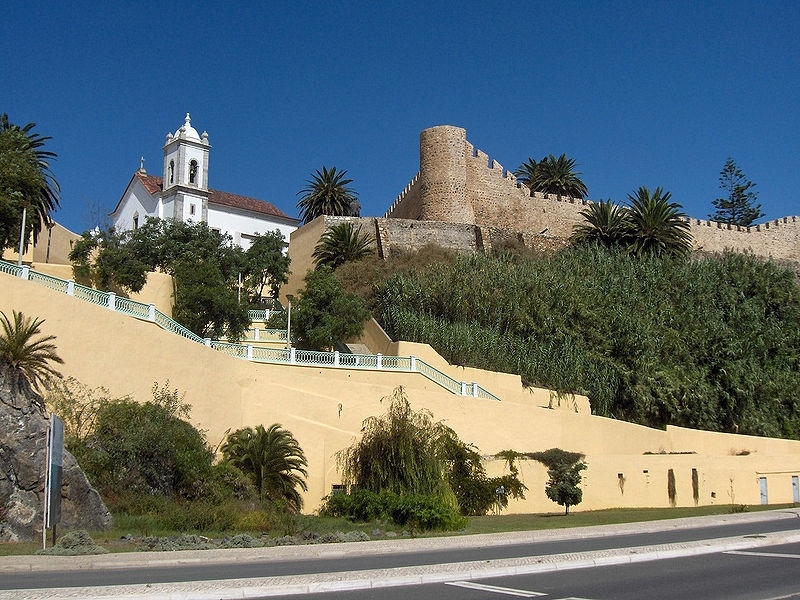 Castles in Portugal played an important role in the country’s independence. Spread mostly along the border, these frontier fortifications have been guarding Portugal since the nation’s birth. These majestic strongholds tell vivid tales of heroic battles fought to preserve the land’s autonomy from various invaders including those pouring in from neighboring Spain. Once you reach inland, do not miss the 20 castles route in Portugal’s central region that were outlined by Portuguese authorities. 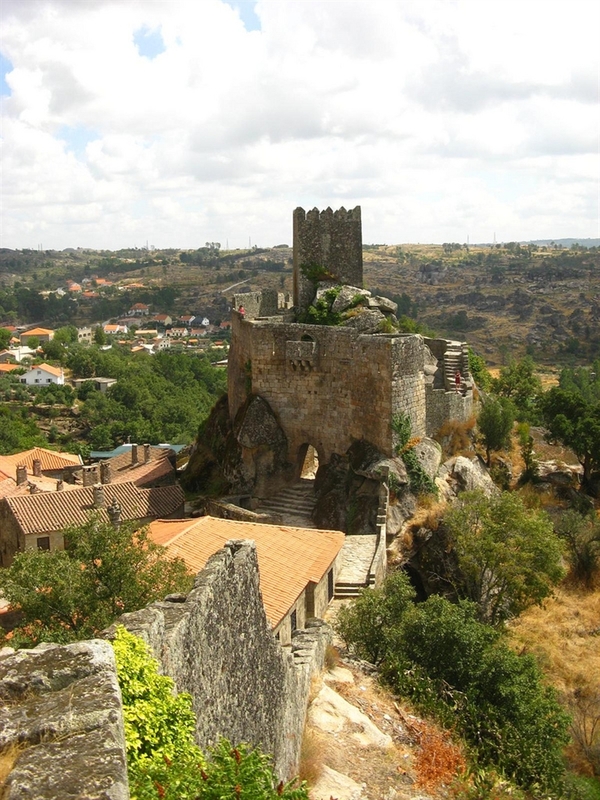 They are the most prominent fortresses to see in the country, among which are Sortelha, Castelo Mendo, Castelo Rodrigo and the entire walled town of Almeida boasting a medieval construction and perfectly angular streets all leading to city center. Moving further to the south is Portugal’s hub, the coastal capital city of Lisbon situated at the mouth of Tagus River. Lisbon blends harmoniously the country’s turbulent past with cosmopolitan vibes of the modern era leaving the city a wonderful maze of the monuments, museums, castles, monasteries, fortifications, restaurants, cafes, bars and boutiques. With such a fabulous selection of activities offered in the region, your luxury charter vacation in Lisbon will be an enthralling walk through time pigmented with plenty of local colors and saturated with rich Portuguese tastes and fragrances. Sail your luxury charter powerboat along the port, walk through historic passages or take historic trams to the city center, climbing up the hill and leaving passengers with splendid views of the bay. Each historic district of Lisbon has its own tale to tell and captivates visitors with a maze of alleys, squares, verdant parks and monuments. 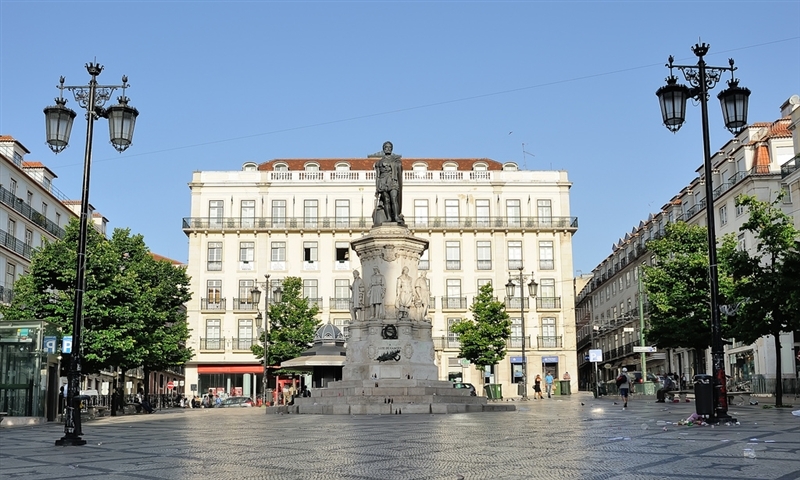 Alcantara is a commercial hub dating back to the Middle Ages, that has lately been emerging as the most fashionable district in the city with bars, discos and pricey lofts in both modern and classical buildings with views on the Tagus River. Lisbon’s oldest district is Alfama, a neighborhood that constituted the largest part of the city during the Islamic invasion of the peninsula and that was left intact during the 1755 Lisbon Earthquake. A picturesque labyrinth of compact streets and squares, Alfama is lined with ancient constructions with colorful facades, typical fado bars, museums that visitors can admire from onboard one the old trams. The heart of the city rests Baixa Pombalina (the city center), a chic neighborhood reconstructed after the earthquake with a bustling cultural and gastronomic life, and Chiado, a traditional shopping area with a blend of ancient and modern architecture. The Bairro Alto in the City of Seven Hills offers the most breathtaking views on the river, the port and the Vasco da Gama Bridge stretching over 17.2 km and crossing the Tagus River. South of Lisbon is the Alentejo region whose northern boundary separating it from the rest of the country is the Tagus River. Alentejo is a rustic region exuding plenty of local flavor and history where visitors will marvel at historic villages of whitewashed paved houses, ancient Roman villas, majestic monuments, Bronze Age settlements, archeological remains on every step of the way and plush landscapes of dramatic cliffs, stretching fields of fragrant sunflowers, marvelous beaches with crystal-clear water and golden sands. 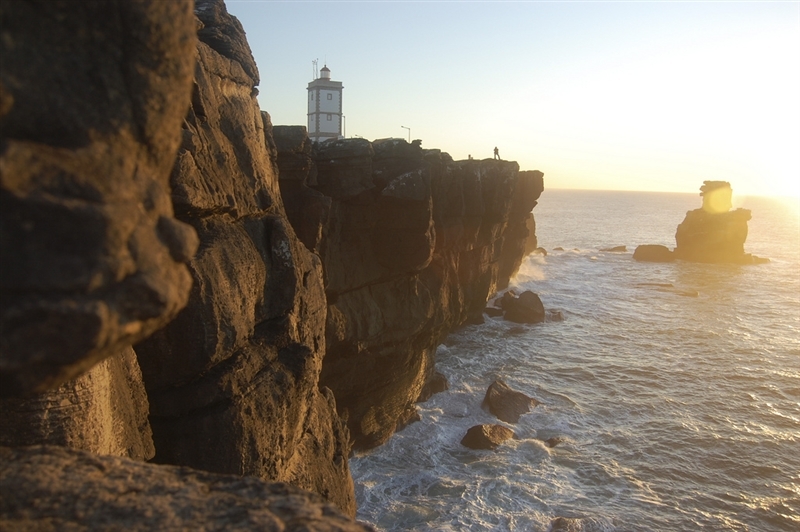 Sailing south along the Portuguese coast, visitors will be left under the spell of the varied coastline and charming seafront villages and towns with imposing traditional architecture sitting atop luscious hills and rocky cliffs. One of these mysterious yet entirely bewitching vicinities is Sines blessed with favorable weather conditions, magnificent beaches and quaint architecture of adorned whitewashed houses and churches, ancient fortifications, humongous verdant palm trees and facilities accommodating luxury charter mega yachts, luxury catamarans, luxury charter powerboats or sailing yachts. Sines offers plenty of sightseeing with the principal attractions being the Castle of Sines towering over the city and opening up to baffling views of the city and surrounding glistening azure blue waters of the Atlantic Ocean. The Revelim Fort is a 17th century construction that was used as protection from pirates and that is now open to visitors to the area where they can marvel at stretching verdant hills and ocean waters. The old district in Sines is a fine example of ancient architecture with brilliant white facades with pops of color and red roof tiles embellishing the downtown area. 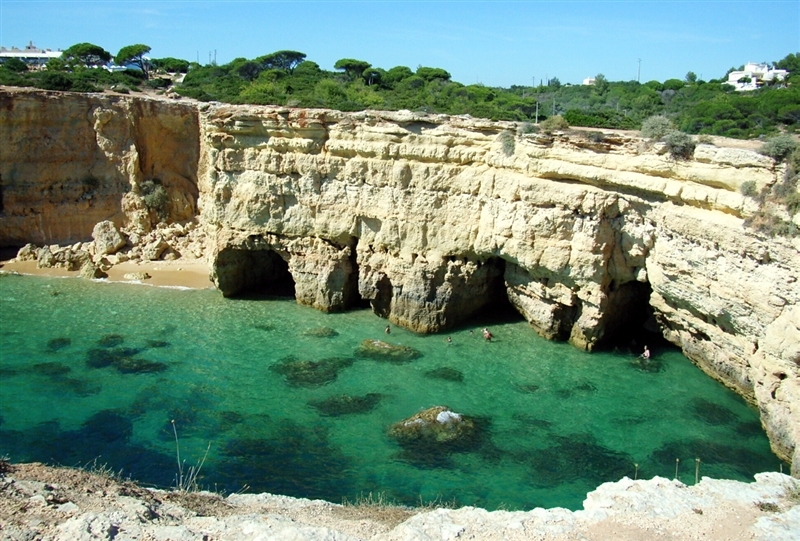 The southernmost region of mainland Portugal is Algarve, an irreproachable charter destination for all amateurs of fun, sightseeing, robust landscapes and history. 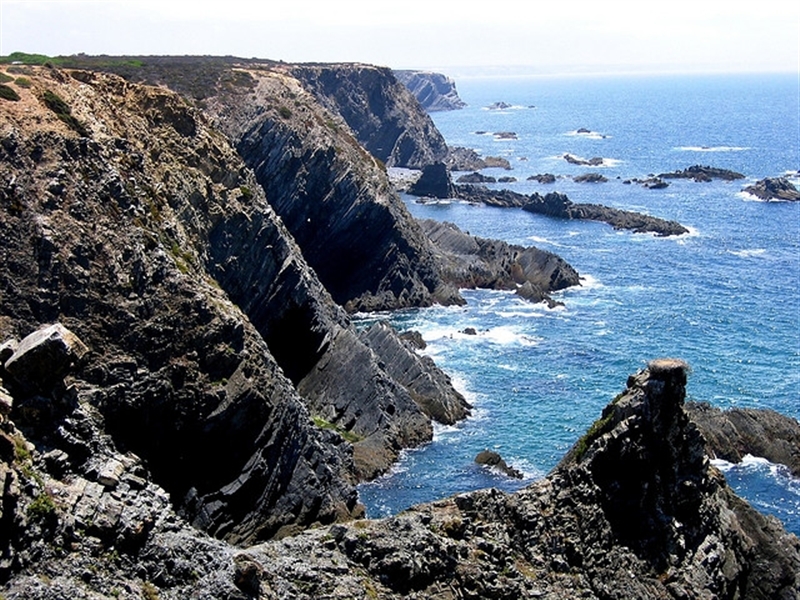 This fascinating and sun-drenched haven has something for each guest to enjoy, whether they want to spend a tranquil afternoon playing golf on one of the verdant courses, stroll through the Costa Vicentina Natural Park, paved with fragrant flowers or visit ancient castles that were once home to the Moorish conquerors. Sail to the Cape St. Vincent that was once thought to be the end of the world, a site inhabited by very rare bird species. Imposing rocky bluffs tower over majestic clear blue waters while a 19th century lighthouse built over the ruins of a 16th century Franciscan convent is among one of the most powerful on the continent guarding an extremely busy international shipping lane. Let your Captain navigate your luxury charter powerboat or luxury charter sailing catamaran to Faro, the region’s bustling coastal capital city quenched in history and boasting premium Atlantic beaches to explore during your vacation. Situated near the Ria Formosa lagoon, a nature reserve being a stopping place for many different bird species during their migratory periods, Faro is flanked with handsome historic buildings of the Cidade Velha standing vis a vis the marina, a top notch facility for luxury charter yachts. Cobblestone alleys of vivid houses and stone walls are a true maze of authentic restaurants and cafes surprising visitors with typical Portuguese dishes, such as Carne de Porco à Alentejana, a succulent meal consisting of marinated pork, clams, potatoes and coriander. East of Faro close to the Spanish border is the quaint waterfront city of Tavira. Sail your luxury charter mega yacht or catamaran to a city drenched in an Arabian charm through whitewashed houses with scorched gabled roofs and alleys carpeted with giant luscious palm trees. This Medieval walled city exudes to this day the archaic ambiance of fishermen praying in the church of Our Lady of the Waves while white salting pans and boats lining the coast await visitors to take them to the Tavira Island, just off the coast, sporting a magnificent shoreline and beach for plenty of basking in the sun. 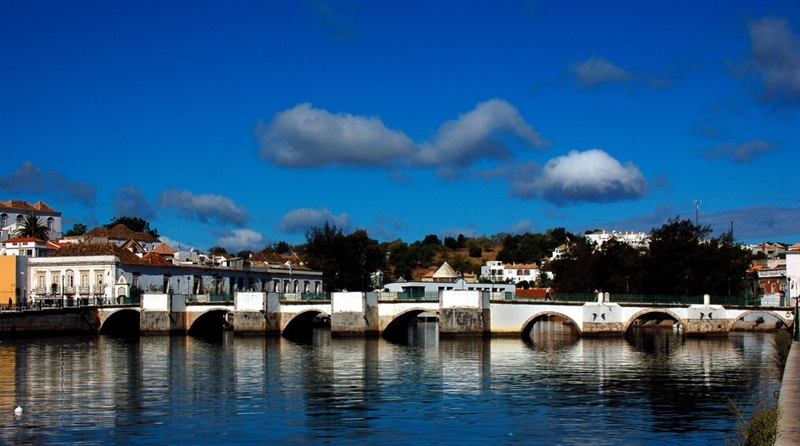 Bathed in sun, Tavira is a thriving city with plenty of live entertainment including evening performances in the riverfront bandstand during the long and warm summer months. With cafes and restaurants open until early morning hours, you will be able to chat the night away with the locals getting to know their culture and daily life. 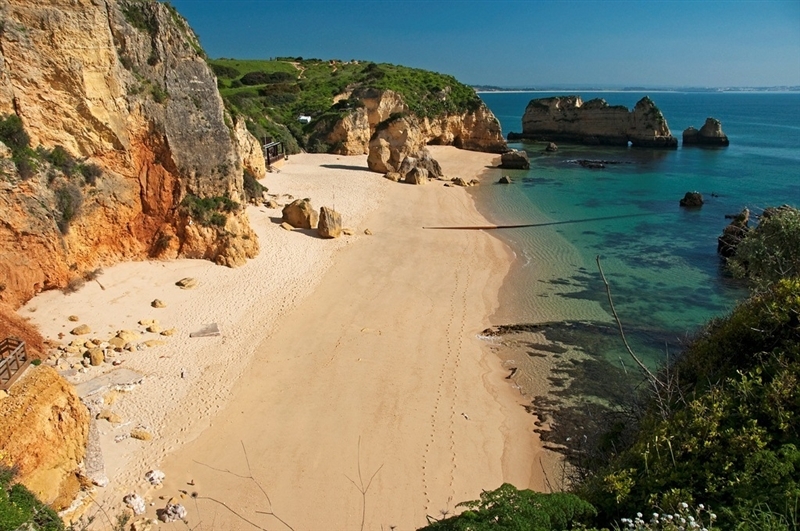 Portugal boasts two splendid Atlantic archipelagos calling for a luxury charter vacation. 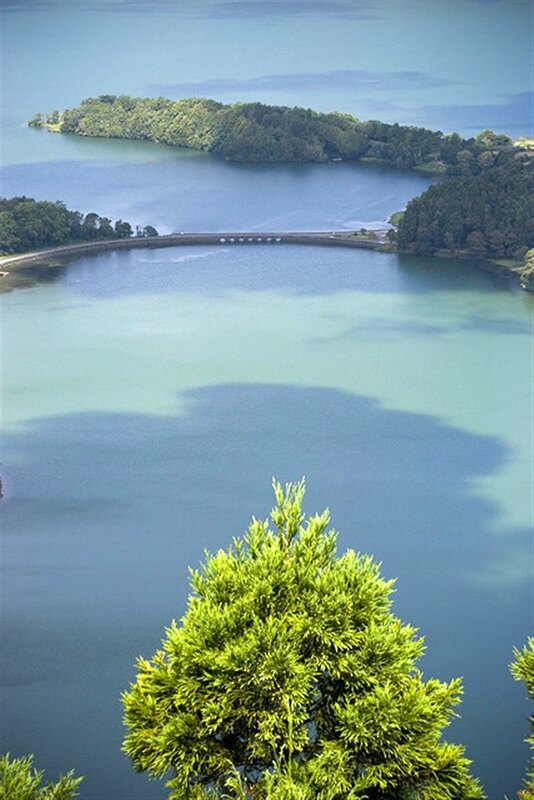 The first one are the Azores, volcanic islands glistening in every shade of green and with a luscious countryside bordered with verdant ferns and fragrant flowers. Soft murmur of beeches and chestnuts swaying in the wind are a feast to the five senses while the deep blue sea surrounding the islands is wonderful for dropping anchor and stepping off board your luxury yacht to discover the rustic nature of the plush islands. Horta is Portugal’s most popular port of call where world-class sailors meet regularly during their voyages around the world for a drink or two at the famous Peter’s Bar. The Horta marina is a safe haven for yachts who have been decorating the jetty walls with drawings for many centuries, thus creating an open-air exhibition in one of the world’s most colorful marinas. It is strongly advised that yachtsmen do not leave the marina without fulfilling the tradition if they do not want to the struck by violent winds at sea! Once on land, pass by the Scrimshaw Museum featuring rare sculptures made of sperm whale bone and ivory or stop by Peter’s Café Sport, one of the city’s main attractions where you will relax with a replenishing gin and tonic in hand. The Azores are one of the few places on Earth offering whale and dolphin watching so guests must not miss the opportunity of seeing these powerful sea creatures at play. 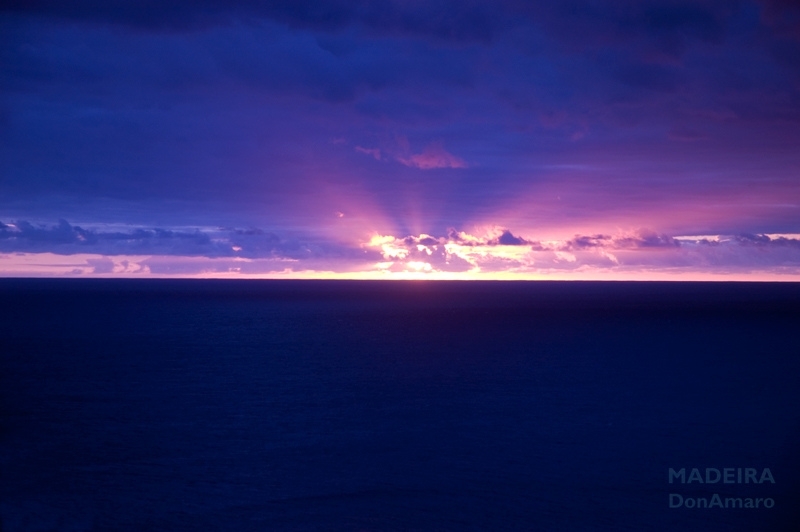 The second Portuguese archipelago is Madeira, a group of islands lying north of the Spanish island of Tenerife. 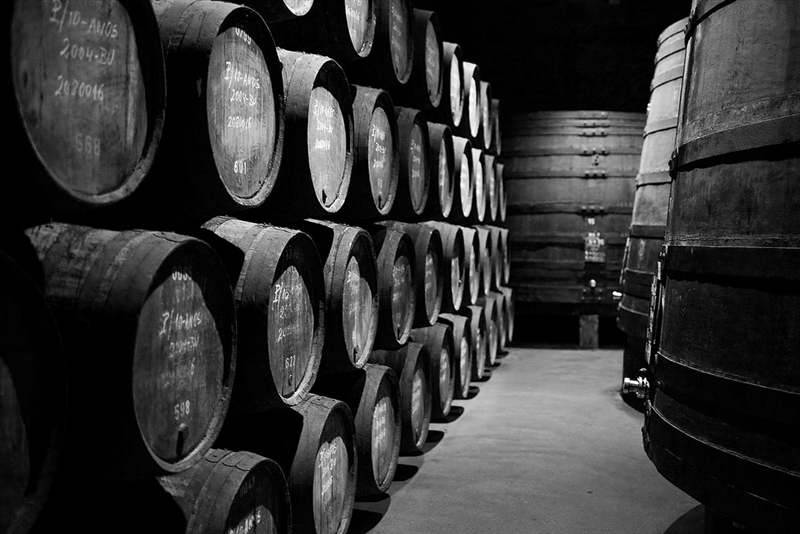 Discovered by Portuguese sailors in the early 15th century, Madeira is believed to be the first territory explored during the Portuguese Age of Discovery. The island’s mild Mediterranean climate makes Madeira a marvelous charter destination and with Madeira wine, vivid fragrant flowers, plush landscapes and embroidery artisans scattered throughout the islands, the archipelago is a breathtaking blend of rustic beauty and rich cultural heritage of Portuguese flavor.rtuguese flavor. 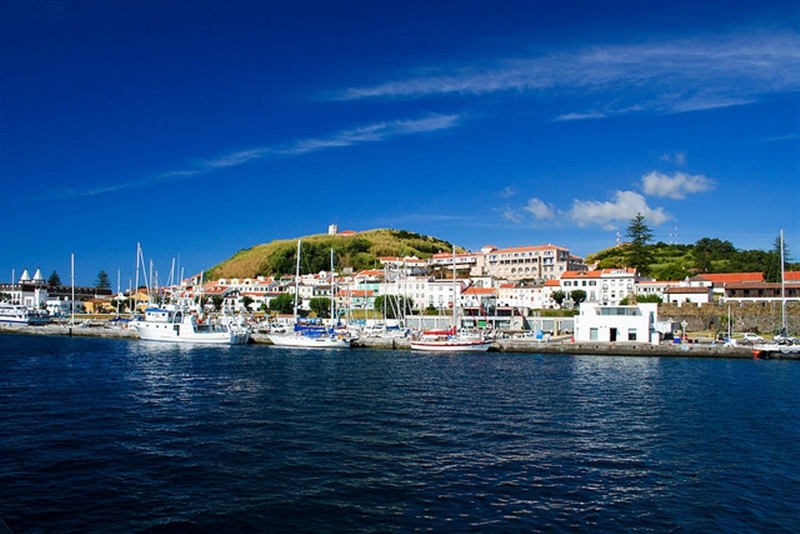 One of the islands in Madeira is Porto Santo, a genuine sanctuary for the five senses offering a sweet getaway from the hustle of cosmopolitan life. 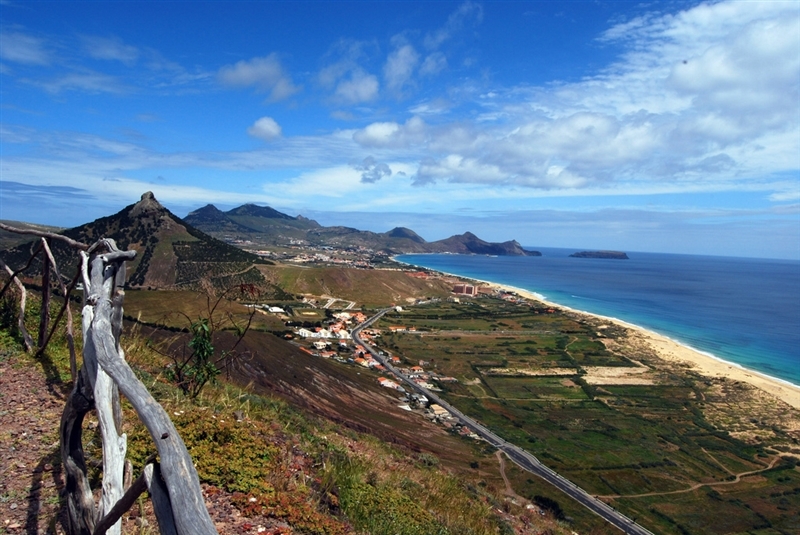 Porto Santo rests undeniably one of Europe’s most attractive island paradises boasting miles of immaculate gold sandy beaches and deep and soothing warm waters. Guests will be able to soak in fabulous views from the deck of their luxury charter powerboat or luxury charter catamaran or take out some of the water toys available onboard for a thrilling and adventurous afternoon. Go for a ride in your dinghy and when you reach the shore, experience the robust entourage while hiking or biking on one of the many hiking trails. After an action-packed day, your charter crew will readily prepare a sumptuous dinner and serve it either on the aft deck or flybridge of your catamaran or on the golden sands of one of the pristine beaches. Porto Sano town is lined with a number of bars and clubs where you will spend time with the locals or meet sailors from around the world. Wine was introduced to Portugal as a result of the country’s rich heritage and contact with different civilizations throughout the ages, including the Greeks and Romans, both famous for their celebration of the beverage of the gods. The country developed the world’s first wine-producing region, the Douro Valley growing port wine but the list just keep on growing. With a wide variety of red, white and muscatel wines, visitors to Portugal have the opportunity to sample some of the world’s finest produces. Each region has its own endemic grape varietals and all are highly recommended to take home as a souvenir. Whether you are visiting Porto, Alentejo, Algarve or Madeira, your palate will be far from disappointed after passing by one of the local wineries, authentic restaurants or bars for an evening glass of wine. Portugal is a mystical European nation boasting a distinctive cultural heritage seen on every step of the way. The country’s varied coastline offers ideal sailing conditions and each magnificent port of call has its own tale to share with visitors. Whether you choose to explore mainland Portugal or one of the two archipelagos, with Sunreef Yachts Charter your luxury vacation will be an utter bliss!